Mini iPad arrives: there is no doubt about it. 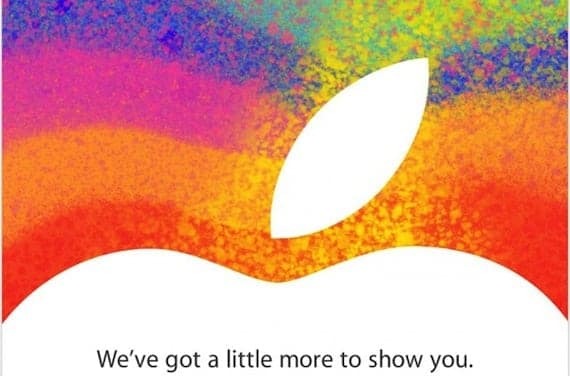 Just over an hour Apple has begun sending out invitations to a new event that will take place on Tuesday 23 October, this time in San Jose (California). The apple company he had something more to teach and this is the day chosen to show the world a new device. On Tuesday finally confirm one of the most persistent rumors in the past two years: Apple will launch the mini tablets with a mini iPad will feature a display of 7.85 inches and a base price to be around 249 euros. From 19h (Iberian Peninsula) retransmitiremos I live news event in iPhone and iPad news. You can find all the latest leaks related to our web mini iPad News iPa d .
Article The October 23 event will again Apple has been originally published in News iPhone .